It would be interesting to know just what percentage of the residents of the present day city of Sherman, Texas or Sherman county would be able to give an account of the life and times of Sidney Sherman , for whom both were named. More interesting yet would be a sampling of faculty and students at Austin College or the public school system for that matter. Forgetting the town of Sherman for that moment, we could with interest broaden the search to the asking of two simple questions about the Texas Revolution and the battle of San Jacinto in particular. Most Texans today are familiar with the famous battle cry “Remember the Alamo” but few are apt to know just who it was that first said it and where he was at the time and under what battle flag he was fighting. These seemingly insignificant details play an important role in weaving into the history of the battle a vivid picture of the events of the day, as well as some of the more colorful aspects. . There were many flags used by units of the Texian Army at many different engagements. 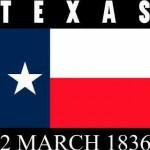 Since there had not even been a formal Texas government in existence prior to the Washington on the Brazos convention, if follows that there was no official flag. The Liberty flag shown above is generally associated with the Battle of San Jacinto. It is believed that the artist who drew it was James Henry Baird. It was presented to Sidney Sherman’s 51 man company of Newport, Kentucky volunteers as they departed for Texas with Sherman’s new bride Katherine Isabel Cox making the presentation. Cincinnati was evidently very much in sympathy with the cause of Texas Liberty as thousands saw the party off as they departed by steamboat. The flag was not all they carried that was of special note. In November 1835, at a public meeting, a number of Cincinnatians and Northern Kentuckians pledged funding for ammunition and weapons (including the two artillery pieces later famous as the “Twin Sisters” of the Battle of San Jacinto). They left via riverboat to start their journey for Texas on January 6, 1836. Sidney Sherman was captain of the company, which called itself the “Kentucky Rifles.” Local citizens helped fund uniforms as well as donating the Liberty Flag. Flying the flag, Sherman’s regiment joined up with Houston at Gonzales, just after the fall of the Alamo. They were together throughout the “runaway scrape” to San Jacinto. This stand of colors which was presented by the ladies of Newport, Kentucky, to Captain Sidney Sherman, is the same which triumphantly waved on the memorable field of San Jacinto, and is by the government presented to the lady of Colonel Sidney Sherman as a testimonial of his gallant conduct on that occasion. This letter gives strong historical evidence that the subject flag was, indeed, the one used at San Jacinto. The flag was kept for years by the family and returned to Texas in a ceremony held in the House of Representatives in 1933. The last living daughter of Sidney Sherman witnessed the ceremony. It was placed in the custody of the Daughters of the Texas Revolution and later placed in a glass case behind the speaker’s podium in the House of Representatives in Austin. Attempts at restoration over the years are feared to have altered the features of this faded old banner. Representative Anderson secured funds for restoration in 1932-3. Another restoration was done in 1989, but in both cases it was a difficult job of recreating fragments to place over fragile fragments. The result that exists today may well be reminiscent of some of the legendary paradoxes of history such as the Paradox of Theseus Ship*, Trigger’s Broom or George Washington’s axe. All of these speak of the unintended consequences of ongoing restorations. It is now displayed from the backside where features are more discernable. In August of 1836, Sherman became colonel of the cavalry of the new Republic of Texas and returned home to Kentucky to recruit more men for the Texas army. For his services in the revolution he was granted large tracts of land by a grateful legislature. When he returned to Texas in December, he brought his wife and her 11 year old brother back with him and settled near San Jacinto Bay. Other family members soon settled nearby. Sherman served in the role of cavalry commander until mid-December of 1837. Sherman was a member of the Texas House of Representatives, from Harris county from November 4, 1842 to January 17, 1843. He introduced a bill providing for the election of a Major General of Militia for the frontier, which passed over the veto of Sam Houston. Thomas Rusk assumed the position with Sherman his successor in mid-1843. After annexation, Sherman moved to Harrisburg and with the financial support of investors bought the town and the local railroad company. 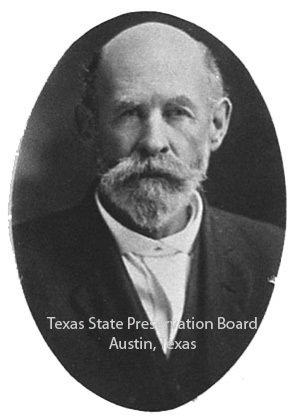 The town was laid out anew, and he organized the Buffalo Bayou, Brazos and Colorado Railway Company, which constructed the first rail line in the state. In 1852 Sherman was among the passengers when the steamer Farmer burst its boilers; he was saved by clinging to a piece of wreckage. In 1853 the Harrisburg sawmill, owned by Sherman and DeWitt Clinton Harris, was burned. After his residence also burned, Sherman sent his family to Kentucky, and he moved into the railroad office at Harrisburg. Then that office burned. Sherman was keeping the Island City Hotel in Galveston when the Civil War came. Appointed commandant of Galveston by the Secession Convention, he performed his duties ably until he became ill and retired to his home on San Jacinto Bay. A son, Lt. Sidney Sherman, was killed in the battle of Galveston. David Burnet Sherman, the remaining son, died after the family moved to Richmond, and Mrs Sherman died in 1865. Sherman spent his last years in Galveston. He died there at the home of his daughter, Mrs. J. M. O. Menard, on August 1, 1873. Sherman County and the city of Sherman in Grayson County are named in honor of Sidney Sherman, the man who brought the flag and raised the battle cry, Remember the Alamo at San Jacinto. William Fairfax Gray, From Virginia to Texas, 1835 (Houston: Fletcher Young, 1909, 1965). Texas House of Representatives, Biographical Directory of the Texan Conventions and Congresses, 1832–1845 (Austin: Book Exchange, 1941). Frank X. Tolbert, The Day of San Jacinto (New York: McGraw-Hill, 1959; 2d ed., Austin: Pemberton press. *A perennial problem of restoration is well explained by the paradox of Theseus’ ship. In Greek mythology, the Hero , Theseus, sails to Crete and kills the Minotaur. To honor this noble achievement, the Greeks had a practice for years of sailing Theseus ship for port calls throughout the Aegean sea. Eventually a rotten plank had to be replaced, then another, then a sail, then a beam until finally there was not a single original piece left – but it was still Theseus’ ship. The same for George Washington’s axe. First the handle and then the head had to be replaced but it was still George Washington’s axe. I expect these stories were told and retold by those involved in the multiple attempts at restoring Sherman’s flag. In four short days and nights, Buck and his stagecoach will hit town. Coming with him will be his wife, and the team of nip and tuck. Kids of all ages are going to enjoy riding the best cotton pickin stagecoach in four counties. March 2nd and 3rd on the historic downtown square in beautiful Granbury, Texas. A provision has been made for all of the Vendors to have Sunday morning worship at the Texas Independence Day celebration. We will kick off Sunday with Cowboy Church on the city sound stage at 9:00 AM sharp, with music by the Baggy Bottom Boys, and preaching by DeWayne Harris, associate pastor of Triple Cross Cowboy Church in Granbury. The Baggy Bottom Boys will present their music again at 11:00 AM. Vendors open Sunday at 10:00 AM. In two short weeks the Texas Independence Day Celebration of North Texas will take place around our historic square in downtown Granbury, TX. We would like to say a Texas sized Thank-You to the local merchants who have gone out of their way to provide us with gift cards and discounts for the winners of our student history competition. We salute all of our local/home owed businesses and hope this years’ event drives customers to you. The heritage of history is perhaps one of the most valuable gifts we can pass on to our children. Therefore, the up-coming event known as Texas Indenpendence Day of North Texas at Granbury will afford us that very opportunity. The chance of a life time to show our children and our grandchildren what freedom has cost, and what preservation is worth. 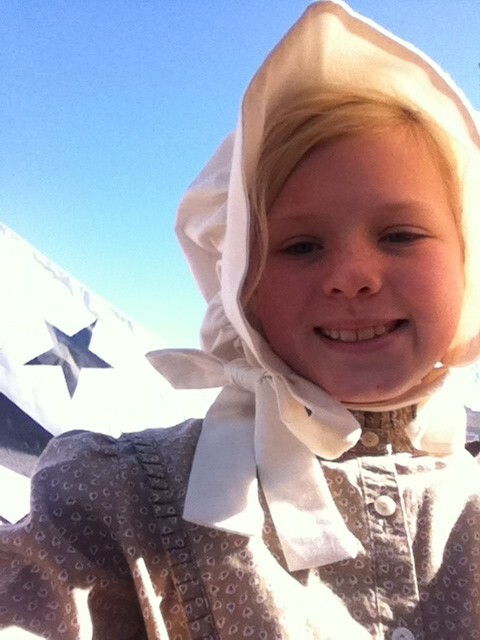 Come to our town March 2nd and 3rd, but please bring the younger members of your family as well. Preserving the past is one of the major goals of the Hood County Historic Commission. We are so pleased to announce that this body of Hood County citizens has taken a stand on behalf of the boys and girls of our county and all citizens by getting behind this years’ display in the courthouse of our school kid’s works of art and essays. Thanks so much to the H.C.H.C. for making it possible for us to properly display all of the children’s entries in the courthouse. Our appreciation also to our elected officials who have agreed to open the courthouse for this great event. We appreciate all of you.